This assignment is aiming to identify and critically evaluate the implication of organizational culture and regulatory framework on “real world” or actual occupation health and safety management practices. For this assignment the WHS management issue or problem which is identified is “risk of fire and safety hazard for employees in fuel service stations”. WHS or work place health and safety regulations are very important for the safety and security of both employers and employees in any working place. Government bodies are highly concerned about work place accidents and frivolous law suits which follow after that. Thus it would be very important for them to make sure that proper WHS policies are in place and all the safety equipments, measures and space design are done as per regulations. These policies are created by government department and they have to be followed by the enterprises or companies properly. This is done to make sure that all workplace do not have any health and safety related problems and neither there should be any legal entanglement. Aim of these strategies and regulations is to ensure that risk level in any business establishments are reduced to acceptable levels. It is assumed by many people that implementation of work place health and safety procedures tend to complicate the organizational process and also increases the maintenance cost. However in reality they rather help in reducing the risk levels and cost is nothing in compare to the cost of even one incident and law suits after that. This entire process involves tactical detailing and minor adjustments in an organization at both management and leadership level. This would help in anticipating hazards, preventing and controlling accidents, planning and monitoring new phases and expansions, training employees in health and safety drills and participations etc (Carre, et al. 2000). A fuel service station typically have petrol dispensing units, a retail store with food and beverages, food bar, stock rooms, petrol bunks (storage areas below the ground), parking area, car service station and car wash areas etc. Common problem which is associated with a fuel service station in Rural or semi urban area observed is that some of the work is done manually in different sections of service station like filling of petrol in the cars and cash exchange on counter, stacking of products and their unloading from supply vans etc. It can be observed that in such situation actual work is being done very close to an inflammable and potentially dangerous substance and service station has to take care of the safety of employees and even keep expensive and updated protective equipments etc which is a challenge. Another challenge is proper training of employees in health and safety regulations and activities. Many times employees tend to take these trainings as routine procedure and undermine their importance. In rural and semi urban areas even government bodies are also not able to keep a regular vigil on day to day activities thus making management and leaders slacking about health and safety issues in the place and increasing risk levels. Work culture and environment also plays a very important role in WHS regulation following and acceptance which can reduce the injuries to a acceptable levels. According to Mannion, et al. (2009) work culture plays a very vital role in reduction of occupational hazards. A culture which is sensitive and resistant towards any kind of negligence in work and doing risky activities would help the organization in evolving over the period of time in a strong manner. Culture also helps in developing internal norms and regulations which might or might not covered in WHS regulations but it keeps internal checks on procedures. 5. Communication and consultation (Rajda, et al.2011). Methods which are employed for the risk in any business or organization is to audit it which is done by both inspection and monitoring of the activities. These reports include all check points and areas of concern which ensures that proper corrective action reports are formed. Audit reports are made in such a manner that they detail all the corrective actions and future safety procedures. Risk assessment systems can be employed in a company or a business at three different levels. First level is at design level where risk associated with the overall design of the work place is assessed. Project level where the overall risk analysis of all potential risk associated with business operations would be assessed before commencing the project. 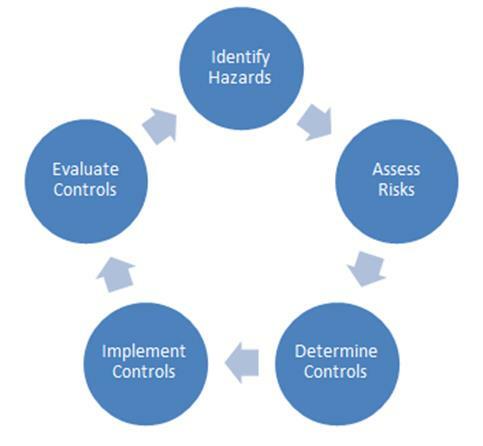 Hazard control systems are those systems and procedures in place which can easily control or curb a hazard which can take place in a work environment. 3. Hazardous substance risk assessment form. 5. Surveillance of health of all employees regularly. While handling hazardous and inflammable chemicals or products various control activities can be employed. 3. All storage areas should be marked properly. 4. Storage should be at right temperature in right conditions. 5. Employees should be properly skilled and trained before handling products and equipments (Alexander, 2000). 2. Each consultative structure should have a defined responsibility and accountability. 3. There should be a regular work place visit and inspection by the senior management and HSEQ steering committee regularly. 4. If need arises external safety consultation should be invited. 5. Proper and long term planning of safety, implementation and maintenance of health and safety systems. 1. An analysis of the need of training should be done as first step. 2. Entire training plan should be formally documented. 3. Employees should be provided with proper information which would eventually help them in fulfilling the work requirements. 4. Employees should not be allowed for any activity which they are not trained for or qualified enough. 5. National skill framework certified trainers should be used only (National Health and Medical Research Council (NHMRC), 1992). Occupational health and safety norms are introduced by Australian government in accordance with the OHS policy. These policies will help in boosting the employee morale, address any concern regarding spill and burn issues at the store and it will also ensure that even consumers who are visiting the store are risk free. It is also observed that there is an absence of documentation at many work places and service stations and even if they are available then they are not updated. In order to ensure that documents are updated and they are properly arranged weekly meetings are required to be help in the premises for all employees who are associated with the operations of service station. Informal meetings are also encouraged in service station where employees can talk to each other and their superiors every day regarding daily activities and anything which found to be risky or abnormal. There are risks like fuel spills which can be very dangerous and to tackle that employees are trained for any potentially dangerous object or activity and how to handle situation if something like this happens. As per WHS regulations one member of the employee team would be selected and made leader of the safety team. That employee would be made responsible for ensuring that regular meetings takes place and all the safety activities and procedures are followed. That person would also be responsible for a complete assessment of the entire service station and identifying all the areas which can be a potential risk and then correcting them immediately (Australian Government, 2005). As per government laws and regulation each and every staff member will be provided with a safety induction kit before they can start working on a site. This induction kit would include basic instructions, a video demonstrating the dangerous incidents and how to avoid them etc. Video would also explain the rules of working in high risk environment. In case of specific site induction manual, a user manual on safety and usage of safety equipments would also be present. One technique which has been identified and used to clearly mark the work related discomfort is called as body mapping. In this technique body posture is measured of a person, their discomfort level and most importantly is their activity is causing any kind of pain or injury. In this technique a diagram would be prepared about the body of a worker and then they will be asked to point out any particular area where they feel pain or any part which they found to be exposed to risk while working. Here different symptoms would be them marked in different colours and these colours will indicate the level of threat to the safety of employees. For example a green colour on the diagram would risk of bruises and burns , red is indicating a pain and severe ache and blue is used to indicate wounds and cuts which can occur to a employee while working. Black colour is used to highlight usual problems of working and purple is for any other problems than above mentioned. (Government, 2014). In case of a service station most of the employees are showing red colour which is a indicator of severe pain and ache and it might result into chronic injuries or even slipping of equipments from the hand resulting into a severe accident at station. Service station managers would be trained in developing body maps and assessing different colour codes. Once body mapping is done then risk mapping technique would be employed and further compliance with the country’s OSHA and WHS regulations. Workplace safety, satisfaction and employee motivation are significantly increased when there is substantial compliance with laws and also when risks are identified, analyzed and solutions are proposed to minimize them. In service stations and fuel retailing body mapping is not as important as a risk mapping diagram is important. A simple diagram of risk mapping would denote all the office areas and working place which include risks, their evaluation and allocation according to priority. Once that is done then methods will be employed to reduce the risk in all areas. For example in fuel retailing touching of metal hoses from distribution pump to car bodies might spark a fire specially in hot and humid temperature. This occurs because of static electricity, and to reduce that most of the pumps have neutral wires attached to the hoses which can transfer any static build up in metal immediately underground. (Queensland Government, 2011). Solution to each problem is dependent upon the type of hazard and kind of problem which is posed in the station. In most of the problems, training of employees and informing them about risk areas would solve the problem on a large scale. All the workers would also be trained in service station on how to use safety equipments which are personally allocated to them. They would also be trained to use the fuel pipe properly so that chances of spill while filling can be reduced to a minimal. Proper cleaning of the areas to avoid slipping on oil spills and engine oil leakages etc is also equally important for employees while working in a service station. For most of the people fire is the only major threat for a fuel station but in reality there are many other problems like personal injury to the employees, slipping and spills of oil, allergic reactions etc. The management and its workers will be trained to use and handling of different kind of equipments like fire safety devices and they will also be get trained to lessen or avoid any kind of damage either by simulation ways or by any other drill process (Government of Alberta,2012). Still a team of trained people will be assigned to monitor and supervise to ensure that the given techniques are applied successfully. The both techniques mentioned above can be fruitful only if all the workers participate in unison. The workers will get sufficient training by the NSCA as they run a range of training courses and they train at the work place. The training given by the NSCA is based on latest regulations and safety of the country and to make sure that the most important asset of the organization is under protection i.e the people. Their public training is based on classroom delivery training method wherein new techniques and learning can be taught to employees and workers. They provide specialized onsite training so that flexibility option could be maintained. This alternative is cost effective as a large or small group of workers can be trained at the work site. Since the mostly staff is not highly educated so the facility of personalized onsite training is provided instead of online training (NSCA, 2012). Since the work is in multiple shifts, it would be ensured that training's are given to all workers working in various shifts. In an emergency situation, it is expected that First Aid is given to the patient immediately and to avoid time loss by going through the user manual, all workers including managers will be given a First Aid Kit Training on how to use this in emergency situations (Australian Business Consulting, 2013). To suit this, best possible option which everyone will understand easily is diagrammatic approach with appropriate colour coding to distinguish its use for different kind of hazard. Keeping in mind critical emergencies, disasters or hazards, different teams are formed and are given special training's to handle these situations efficiently. The colour coding will signify an alert, which could be sent as a warning in emergency situations to all the workers. Few examples of color coding used to signify certain emergency situations could be like Theft could be represented by Code Blue, trip or slip at workplace could be represented by Code Orange, Medical Emergency could be represented by Code Green and Fire which is the most critical emergency could be represented by Code Red. The following procedure followed through the health at work place and safety are followed not to increase any sort of complexity for any respected organization, but to ensure that many risks including losses in terms of people and property could be reduced or eliminated. The Australian government always had strict policies in place in order to maintain occupational health and safety regulations. Additionally when any organization sticks to law, it not only contributes in legal compliance but brings benefits to its own staff. Costs will be reduced when laws are followed wherein the issues of accidents at the work station reduced, it will also reduce the level of absenteeism. Workplaces consist of some risky areas and the workers can be the victim of instances where they can get hurt or injured in case if they don’t know the procedure of equipment. Therefore by applying the aforementioned techniques costs can be reduced and the efficiency of the staff can be enhanced (Herman and Bisesi, 2002). Australian Business Consulting, 2013. Managing OHS risk in your workplace. [Online] Available at: http://www.australianbusiness.com.au/whs/resources/managing-ohs-risk-in-your-workplace [Accessed 26 2 2014]. 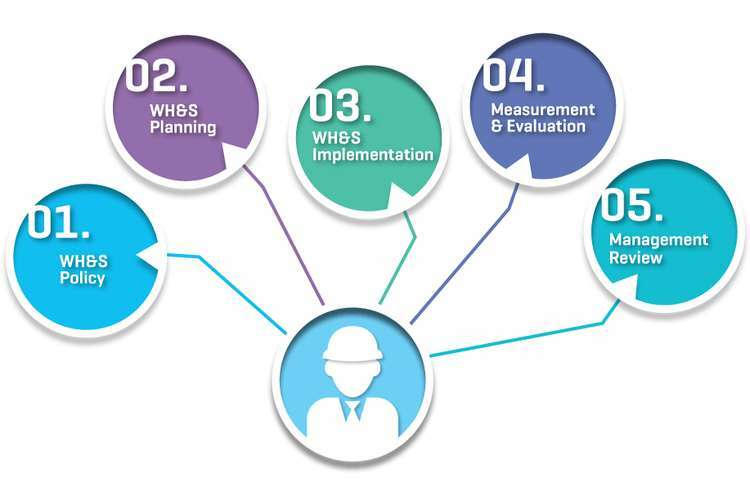 http://www.comcare.gov.au/__data/assets/pdf_file/0017/41363/The_principles_of_effective_OHS_risk_management_OHS_61_Dec05.pdf [Accessed 25 2 2014]. Government of Alberta, 2012. Workpalce Helath and Safety Bulletin. [Online] Available at: http://humanservices.alberta.ca/documents/whs-pub_fex002.pdf [Accessed 24 2 2014]. Government, 2014. Work Health and Safety Act 2011. [Online] Available at: https://www.legislation.qld.gov.au/LEGISLTN/CURRENT/W/WorkHSA11.pdf [Accessed 25 2 2014]. NSCA, 2012. NSCA Training. [Online] Available at: http://nsca.org.au/training/ [Accessed 25 2 2014]. Rajda, J. et al. (2011) Semantic interoperability of health risk assessments, AMIA Annu Symp Proc, 2011:1134-43. Alexander, G (2000) "Health risk appraisal". The International Electronic Journal of Health Education 3 (Special): 133–137. National Health and Medical Research Council (NHMRC), (1992) Australia and New Zealand Environment and Conservation Council (ANZECC) and Australian and New Zealand Guidelines for the Assessment and Management of Contaminated Sites, ANZECC and NHMRC, Canberra. Queensland Government, 2011. Amendments to the Work Health and Safety Regulation 2011. [Online] Available at: http://www.deir.qld.gov.au/workplace/law/whslaws/legislation/index.htm#.Uw5uXvmSySo [Accessed 26 2 2014].